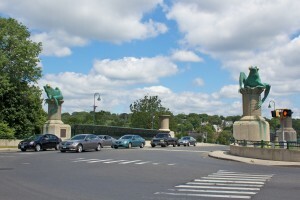 The Frog Bridge in the Willimantic section of Windham provides a quirky look at the town’s history. Officially named the Tread City Crossing, the bridge connects Main Street (Route 66) and Pleasant Street (Route 32), and crosses the Willimantic River. 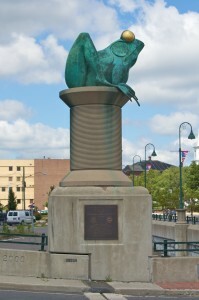 But the bridge, which opened in 2000, is more commonly known for its decorative elements, including the 11-foot bronze frogs at the bridge’s northern and southern ends and the large thread spools lining the bridge. 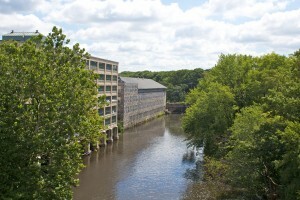 The spools symbolize Willimantic’s historic importance as a thread production center, and several former mill buildings (since converted to other uses) can be seen from the bridge’s sidewalks. The frogs symbolize the 1754 Frog Fight, a curious incident from Willimantic’s history. 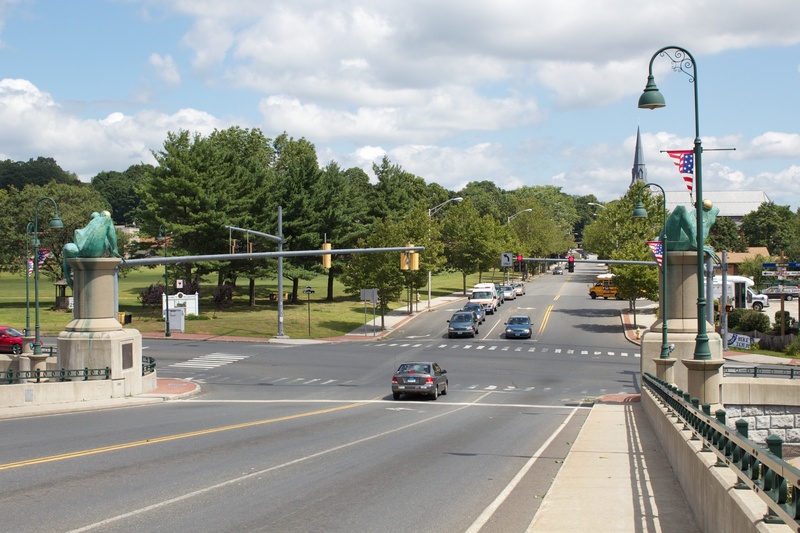 According to local legend, Willimantic residents, concerned about attacks from French forces or Native Americans, were awakened during a hot June night by loud, strange noises coming from the woods. 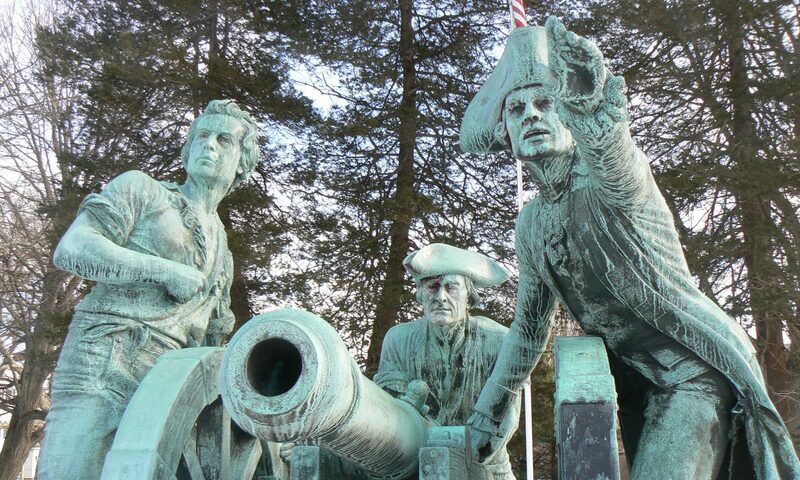 Residents grabbed muskets and waited all night for an attack that didn’t come. 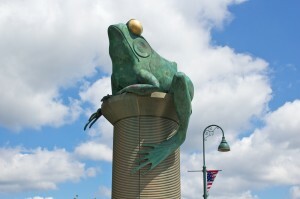 The next morning, the noises were attributed to thousands of frogs fighting over the last remnants of water in a nearly dried-out millpond. 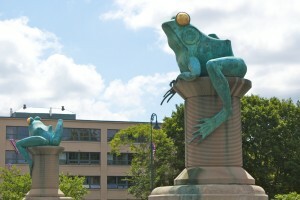 Residents were initially embarrassed about the incident, but later adopted frogs an unofficial mascot of Willimantic.